The commitment we have to helping you become a top business leader who will shape a better world is why our MBA program is ranked #1 in San Diego, #6 in California and in the top 100 globally by Financial Times. Want to start your own business? No one will prepare you better. 35% of recent year’s class started their own business. As an MBA student at USD's School of Business, you will have the opportunity to compete in our Venture Vetting (V2) Pitch Competition and the Global Social Innovation Challenge. Both competitions provide coaching and award seed funding to students. Want to take the next step in your career? 71% of our graduates accept employment within 90 days of graduation, and 70% of recent graduates received a salaray increase of $16K or more after completing the program. You’ll also have the option of graduating with one of our dual degrees: JD/MBA, MBA/MS Finance, MBA/MS Real Estate or MBA/MS Supply Chain. Want to build your global competency? At USD, you’ll have opportunities to consult for Walmart in Argentina, WD-40 in China or L’oreal in Paris. Additionally, you’ll have the opportunity to earn MBA degrees from two universities at the same time - spending one year at USD and one year in Mexico or Germany. Why USD? With small class sizes—and an intimate cohort format for core classes—you'll make lifelong professional and personal connections with classmates and faculty. Tailor your curriculum by choosing program length, area of emphasis and varied international options. 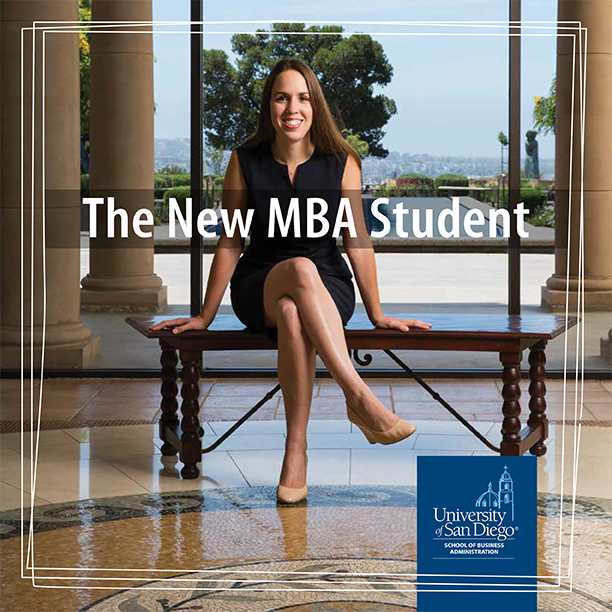 Your USD MBA will help you become an agent for change and a business leader everyone can look up to.